Jeffrey Welch's Blog: Can Dogs Eat Cheese? How About Other Dairy Products? Can Dogs Eat Cheese? How About Other Dairy Products? Hot on the heels of Dogster’s examinations of what kinds of fruits and what sorts of vegetables dogs can consume, and those they’re better off staying away from, we turn our attention to dairy products! The major issue when it comes to dogs and dairy is lactose content. The problem, especially for adult dogs, is that their digestive systems tend to be lactose intolerant. Lactase is an enzyme that breaks down and helps the digestive system to process lactose. The higher a product’s lactose content, the less likely your dog will enjoy the aftermath, regardless of how happily he eats, drinks, or laps it up. Just because a dog will eat something or does eat something doesn’t mean it’s either safe or advisable. After all, dogs also eat things like grass and poop. As far as items that normally fall under the rubric of “people food,” the best piece of advice is to do your research and introduce these foods and drinks to your dog only in very small quantities to establish an individual dog’s tolerance to them. Let’s take a closer look at comestibles and beverages in the dairy family! Mother’s milk is not only an excellent early album by the Red Hot Chili Peppers, but also the primary source of nutrition and sustenance for newborn puppies. Like most mammals, for the first part of their lives, baby puppies suckle happily and hungrily at the milk-swollen dugs of their mother. Once grown, however, the majority of adult dogs do not produce enough lactase to break down, process, and digest lactose, a sugar that occurs naturally in milk. If you or anyone you know suffers from lactose intolerance, the consequences for drinking milk are obvious. Lactose intolerance does not affect all dogs, and each dog may have a different tolerance for a dish of milk. 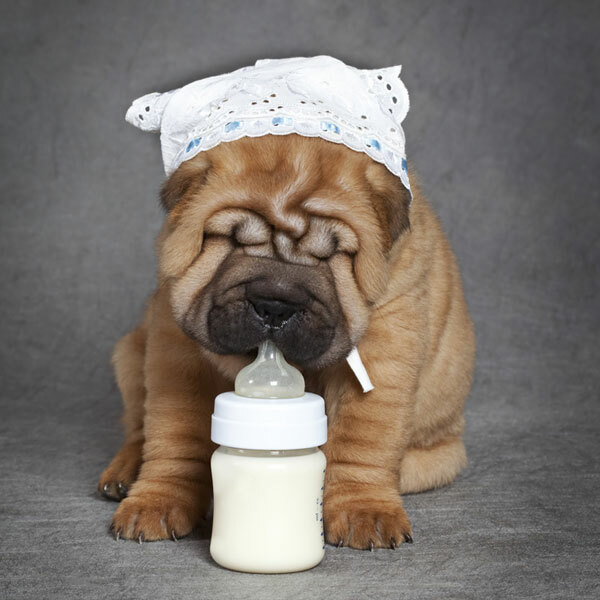 When most grown dogs drink enough milk — or enough of any food or drink with sufficient amounts of lactose — they can suffer from diarrhea, upset stomach, and excessive gas. For weaned puppies and older dogs with finicky digestive systems, the risk of dehydration that accompanies severe diarrhea is best avoided altogether. 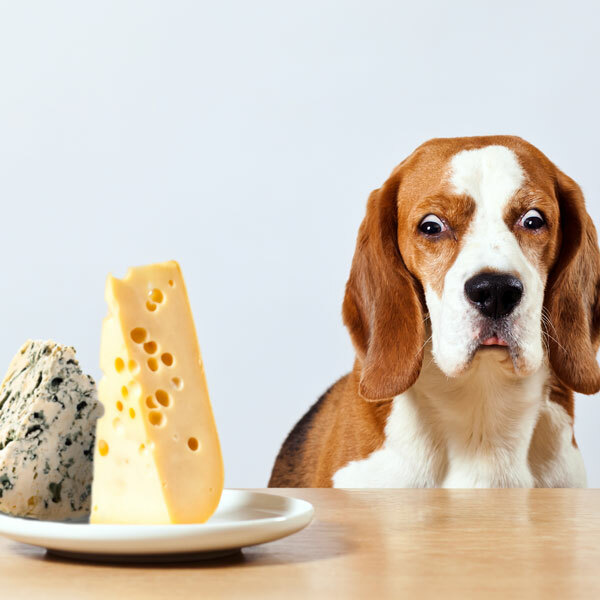 A true turophile, or cheese-fancier, would probably not look as befuddled as this Beagle at the sight of all that cheese. This dog is right to wonder whether dogs can eat cheese at all, and, if so, what kinds. Most cheeses have far less lactose than milk, and many kinds are safe for dogs in small enough quantities. Moderation in all things. If you have a cheese ready to hand that you know is low in fat, low in sodium, and low in lactose content, you can certainly offer a small bit to a dog who is willing to try it. This extends not only to block, wheel, and individually-wrapped slices of processed cheese, but to cottage cheese and cream cheese as well. Cottage cheese especially, in small portion sizes, can be a fine treat for dogs, provided it is low-sodium and low-fat. Your dog cannot speak, but you can imagine that all dogs thank you for being cautious with their digestive health! It’s a yes and no to dogs eating eggs. 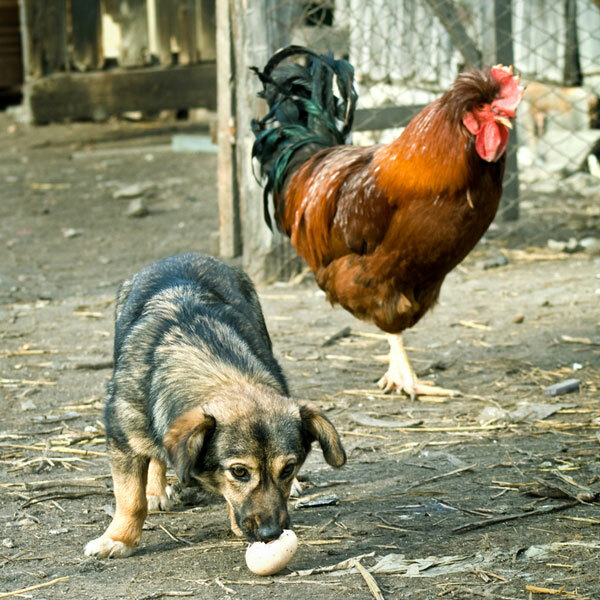 You’ll often hear or read that cooked eggs — whether boiled, scrambled, poached, or otherwise — are safe for dogs to eat, while uncooked, raw eggs are not. There is truth in this conventional wisdom. This wisdom holds that raw eggs contain potentially dangerous bacteria such as Escherichia coli, also known as E. Coli, and Salmonella, the two leading bacterial causes of food poisoning. It is true that the whites of raw eggs contain small amounts of a protein called Avidin. in large enough quantities, this protein can cause damage to a dog’s skin and coat by limiting the B-vitamins they need. It is also true that egg yolk contains enough of that B-vitamin, Biotin, to potentially offset an Avidin imbalance. This is all very technical, I know. On the whole, try to limit your dog’s access to raw eggs. Well-cooked eggs, on the other hand, are perfectly safe. As we’ve established, lactose intolerance is a problem native to many dogs’ digestive systems. Much store-bought ice cream is lower in lactose content than milk, but it may also contain far more sugar and other sweeteners than a dog can handle. Keep the ice cream to very small portions, with low-to-no sugar or artificial sweeteners, and your dog may enjoy a little of this classic summertime treat. Do avoid it like the plague if it contains chocolate, though. 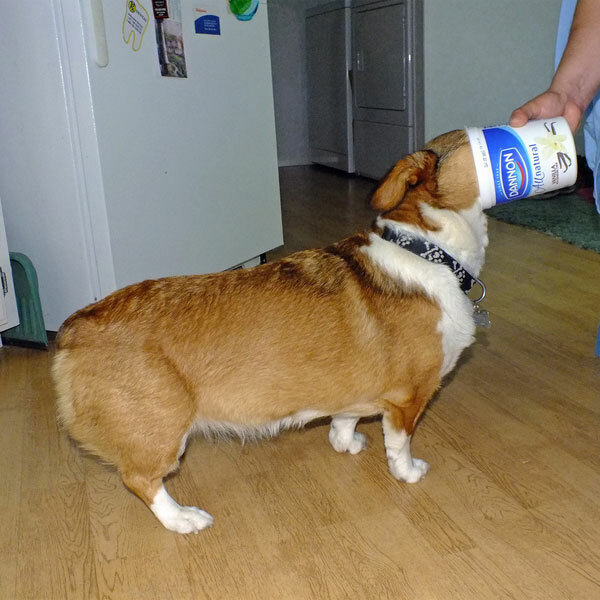 Finally, a dairy product that comes with a resounding “Yes.” I wouldn’t necessarily recommend your dog bury its head in a tub of the stuff with bits in, as the Corgi below is doing, unless it’s cleaning out remnants. Otherwise, in small quantities, yogurt with live bacteria, low fat content, and no artificial sweeteners can be good support for a dog with an upset stomach! Share your dog’s experiences with dairy products! Of course, this is not an exhaustive list of dairy products, only those most frequently asked about. I just couldn’t find enough interest in whether a dog could or should consume things like Buffalo Curd, Whey, or Yak Butter to write about them. The general rule of thumb for dogs and dairy products of all varieties is that they be low in lactose, low-to-no sodium, and with as little artificial or added sweeteners as possible. If you feel compelled to feed a dog a dairy product, do so in small amounts to establish your individual dog’s tolerance! 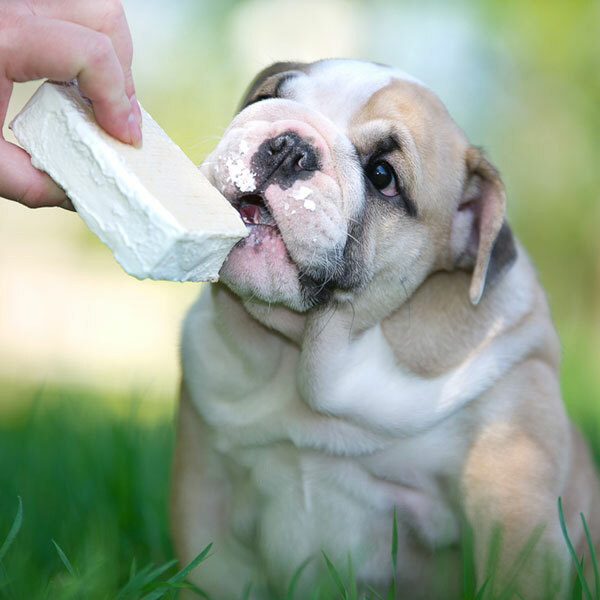 What kinds of dairy products does your dog enjoy? Let us know the product and the breed in the comments! The post Can Dogs Eat Cheese? How About Other Dairy Products? appeared first on Dogster.